NJBIA > NJBIA News & Opinion > ﻿Is It Time for Your Small Business to Use a PEO? ﻿Is It Time for Your Small Business to Use a PEO? When you’re a small business owner, you’re always busy. You’ve got to manage the daily operations of your business. You’re responsible for your employees. You need to keep current on the trends in your industry, make long-term strategic development plans, and implement tactics every day. Then there is the daily grind of payroll, government regulations, taxes and the millions of tiny tasks that take up so much of your time, but don’t really contribute to the bottom line. As the day-to-day of business operations gets ever more complicated, a lot of employers are turning to Professional Employer Organizations (PEOs) for help. For some companies, PEOs have been a game-changer: They take care of the drudgery of paperwork and compliance so employers can focus on growing their business. Professional Employer Organizations are organizations that provide human resource-related services to other businesses. They are specifically designed to serve small and medium-sized companies. Human Resource management can be a huge challenge for startups, family businesses, and entrepreneurial endeavors alike. Regulations, rules, and laws regarding employment are constantly changing. Healthcare benefits, insurance, payroll and related areas can be extremely complicated. A PEO offers small businesses the opportunity to receive high-caliber HR services—the kind usually only available to large corporations. Though these services do cost money, if you do your research you can find reasonably priced, competitive rates. PEOs give small businesses access to the same benefits of an HR division at big businesses. As the owner of a small business, you retain complete control over who works for you, what tasks are assigned to which teams, and which direction you’d like to encourage your employees to grow. When a PEO handles the administrative functions, it leaves you more time to do what you do best: Run your business. How Can PEOs Help with Recruiting? When you’re looking to hire new employees for your company, you want to attract the sharpest candidates—and keep them as happy employees. PEOs help you recruit and retain top talent. Not only are you able to offer competitive benefits, you are able to secure these benefits at a lower cost. Since PEOs “employ” thousands of people, PEOs are generally able to secure better rates for insurance and other services. These savings get passed on to you. PEOs enable you to offer better benefits at a lower price. What Services Are Typically Offered by PEOs? Payroll Processing, Management, and Administration: a PEO will manage all aspects of payroll for you. This includes withholdings, disbursement, timekeeping, and workers’ compensation. Tax Services: All company taxes will be managed, including liability for business taxes and filing state and federal taxes. Recruiting & Training: PEOs can assist with interviewing, hiring, training, and holding reviews for employees. Performance Management: A PEO can assist with job descriptions, promotions, disciplinary procedures, and separations. Employee Benefits: PEOs generally offer healthcare benefits, supplemental insurance, and retirement plans. Risk Management: OSHA compliance, training, and safety policies for your company can be managed by a PEO. Unemployment Insurance: PEOs ensure the proper workers comp coverage is achieved and manage unemployment claims. How Can Partnering with a PEO Save you Money? PEOs take a huge quantity of time-consuming tasks off of your plate, and as we know, time is money. Freeing up your time enables you to concentrate on business development. Beyond that, PEOs bundle services together, meaning that there is an economy of scale in the pricing. PEOs can also secure competitive rates for services like insurance to reduce costs to your company. PEOs can also help shield your company from improper unemployment claims, regulation infractions, and other costly problems. In short, PEOs can save you a whole lot of time and money. 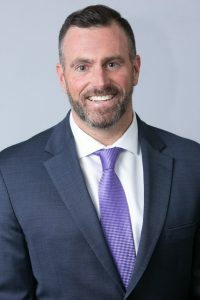 If you would like to see how your business could benefit from a PEO relationship contact Adam Glasgow of Campbell Petrie at adam@campbellpetrie.com or call direct 732-569-7278.